Many of us interested in the culture and history of S.Korea first look for books that are what some would call ‘quick reads’. We might have started out with a love of Korean Dramas, Kpop, or food, but then we quickly become intrigued by the people and place that created those things, however we’re not quite ready for academic level history books. This book, The Birth of Korean Cool by journalist and author Euny Hong, is a good choice for an insight into the last 35 years or so of Korean culture. Euny Hong’s family moved to Gangnam in 1985 when much of its development had recently been completed. 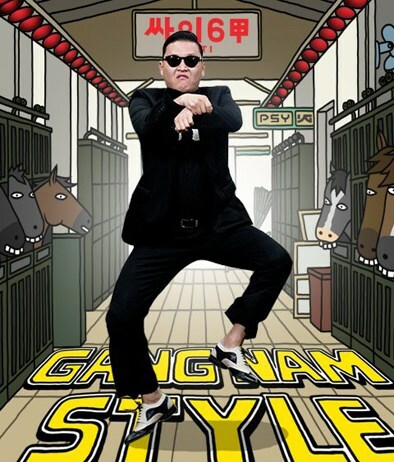 Starting in the late 1960’s/early 1970’s Gangnam was changed from a rural area to a new ‘city’ to help relieve the population pressure on Seoul. A product of new approaches to development it quickly became the place to live. Hong describes the pressures from living in a desirable and wealthy area as well as the difficulties of not being brought up in Korea. 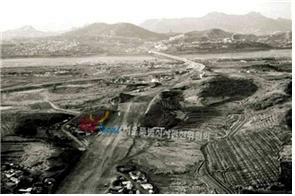 Photo Source: City History Compilation Committee of Seoul showing Gangnam in 1969 towards Han river and the newly completed Hannam Bridge. Note all the farmland. Each of her experiences, from an outsiders perspective, give us useful insights into Korean culture. Her school days were fraught with cultural differences that made it hard for her to fit in, yet she saw the nuances of thousands of years of heritage in action, and is able to relate them to us so that we can learn from them too. The stories she recounts from her school days help flesh out what I have seen in Kdramas set in schools, and help explain why so many Korean Variety shows have such harsh punishments. Following the early chapters the book becomes less biographical and more about Korea itself, with details on the rise of Hallyu as well as businesses such as Samsung. With a reporter’s skill she expounds on some aspects of the Korean world view and future plans in a concise and easily understood way. Korea is definitely a country to watch, and not just from a Kdrama perspective. Ms. Hong also delves into the psyche of Koreans themselves by trying to explain such things as the uniquely Korean concept of ‘Han’, their relationship with Japan, and how they view Koreans born outside of Korea. At 267 pages in a paperback format this book really was a quick read for me. I have, however, returned to it a few times to re-read certain sections. 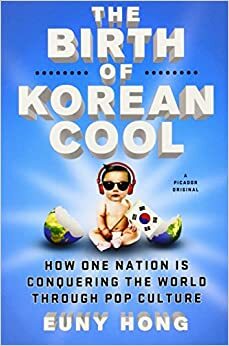 The last chapter is somewhat dated due to the recent political difficulties of ex-president Park and the effects on the Korean economy, but nevertheless I would recommend this book for anyone who would like a quick overview of Korea’s rise, along with some insightful points on Kpop and the rise of the Hallyu Wave. If you read it, let me know what you think in the comments below. Have a great day everyone. You may also like Seoul, Megacity, Korean Tea, and Hwarang: The Flower Boys Of Silla. Please do not copy or use without permission and accreditation. Photo credits to original owners. ← Best of Weekly Idol Random Play Dances.